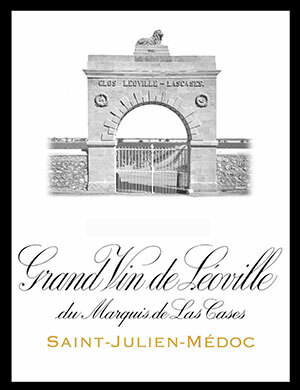 Jean-Hubert Delon thinks the 2001 Leoville Las Cases could turn out to be as good as his 2000. I’m not sure I agree, but it may come close. A blend of 69% Cabernet Sauvignon, 19.5% Merlot, and the rest Cabernet Franc, the 2001 (which represents only 40% of the production) reveals notes of sweet vanillin intermixed with pure cassis, black cherries, and lead pencil shavings. Elegant and medium-bodied, it possesses a saturated purple color, high tannin, and a structured, backward feel in the mouth. This quintessentially elegant Las Cases needs another 5-7 years to hit its plateau of maturity. It will be one of the Medoc’s longest lived wines of the vintage. Anticipated maturity: 2011-2030. Tasted blind at Bordeaux Index’s 10-Year On horizontal. Dark garnet core with a deep brick rim. The nose is very intense with an almost honeyed level of richness to it. Blackcurrant, pencil shavings and a touch of Dorset plum, fine definition and gaining more and more clarity in the glass. The palate is medium-bodied with fine tannin, great fruit intensity here with superb, citrus-driven acidity. Blackberry, a touch of cranberry and cedar, very long and sensual towards the finish. The nose needs more bottle age to development refinement, but the palate is very classy. Tasted March 2011. This is very floral and perfumed with lots of violets, roses and berries. Full-bodied, with ultrafine tannins and a racy finish. Superfresh and long. Focused and clean. Best after 2010.